Pigeon Wings ($1.99) by Ignacio Schiefelbein in collaboration with Kris Hattori is a tough-as-nails arcade shooter where pigeons are the only bird that can stop an evil madman from destroying the city. It is just as ridiculous as it sounds, but it’s insanely fun. 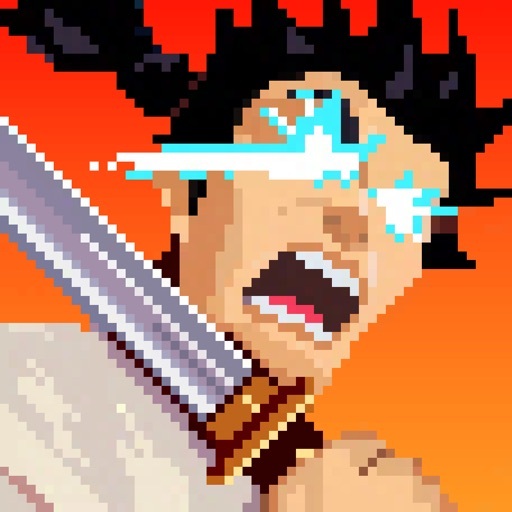 If you enjoyed titles like Super Samurai Rampage and Steredenn, then you’ll love Pigeon Wings. 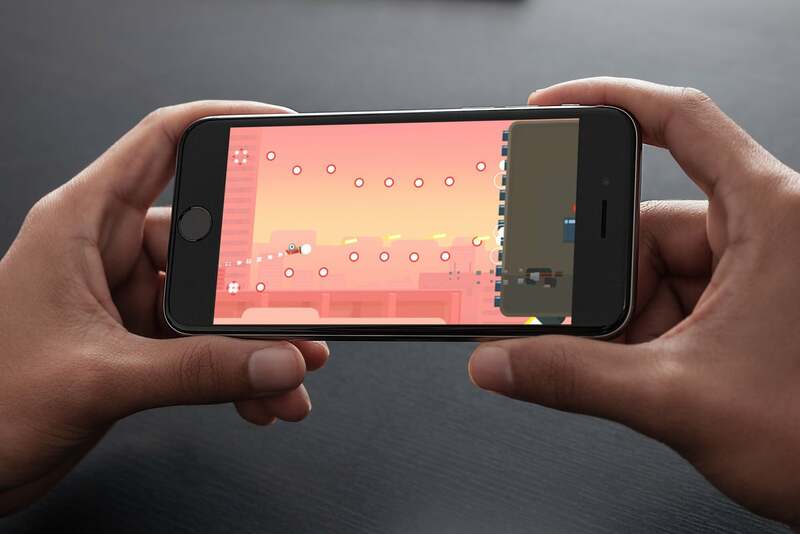 When it comes to mobile gaming, I tend to enjoy it most in quick bursts throughout the day. Over the years, I’ve learned that one of the best genres for these bite-size sessions are arcade games, where I can pick it up and play for a good chunk of time, but put it down just as easily when I need to take care of other things. Plus, for me, shooting things up is a great way to de-stress. 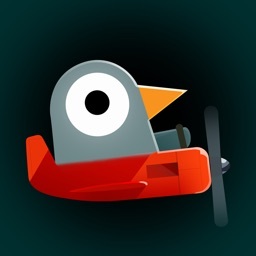 When I saw Pigeon Wings on the App Store, I became intrigued by the concept of a pigeon flying in a plane, and shooting’s involved, so I figured why not? I’m glad I picked this one up, because it’s a great mobile game that does not disappoint. 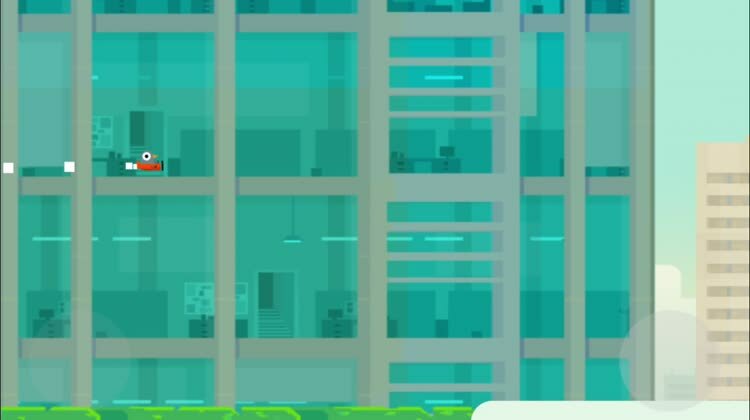 Visually, Pigeon Wings has a cute, pixelated art style that reminds me a bit of Minecraft and Crossy Road, except it’s rendered in 2-D, with the exception of the level map. 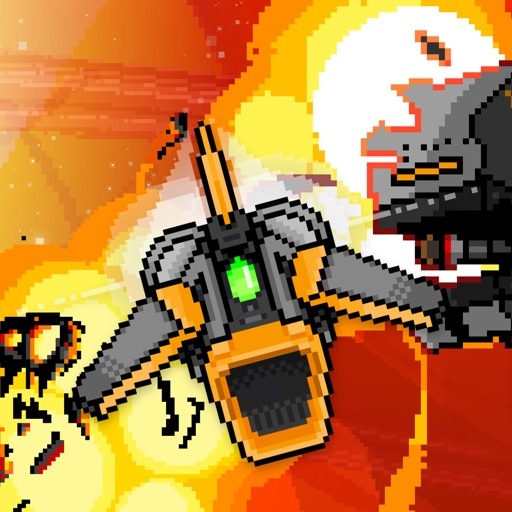 However, in addition to the pixelated explosions, plane trails, and buildings, other parts of the game look more modernized, such as the pigeons and planes themselves. The backgrounds you’ll see are gorgeous, featuring various splashes of color and a nice skyline of the city. However, things will be moving too fast for you to enjoy the scenery. Pigeon Wings features a rich and intense color palette, and animations are smooth and fluid on my iPhone 7. There’s also an original soundtrack composed by June or July and Brad Podray. Overall, the team did a great job with Pigeon Wings’ visual and audio design. With Pigeon Wings, the game is level-based and has a plot behind everything, which gets unraveled through humorous cutscenes between stages. 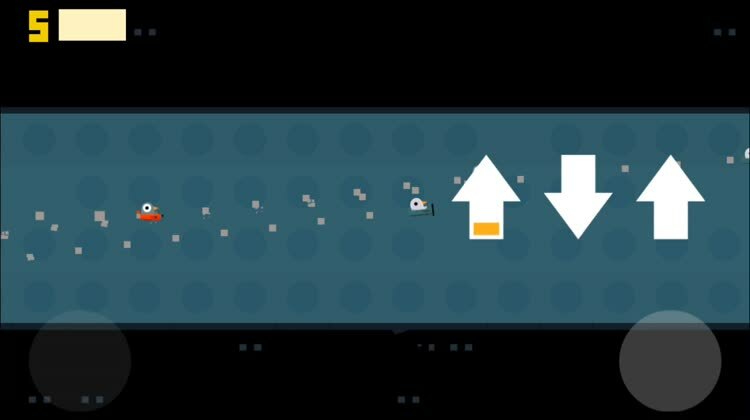 Players must go through each stage in a linear fashion, and there’s no option to skip a level. If you’re stuck, you’ll just have to keep trying until you clear it. The goal of the game is simple: race other pigeons and rank in the top three to earn medals, or face off against tough boss battles to clear the stage. This is one of those games where you’re going to die a lot due to the speed of the game. Fortunately, after a few tries, muscle memory kicks in and you’ll be more familiar with the stage layout. Hopefully it helps you in avoiding the same cause of death from before. Controls in Pigeon Wings are simple, intuitive, and responsive. To accelerate, all you have to do is long-press the button in the bottom left corner. To steer your plane up and down, you’ll need to tilt your device back and forth, as the game uses the device gyroscope. I’m not a big fan of motion control games, but Pigeon Wings executes it flawlessly so it doesn’t feel awkward. You can follow closely behind another pigeon to catch a draft, and then tap on the button in the bottom right to boost through the competition. This button is also used to shoot your guns in stages with boss fights. As you complete stages and place in the top three, you’ll earn medals, which are converted into currency. 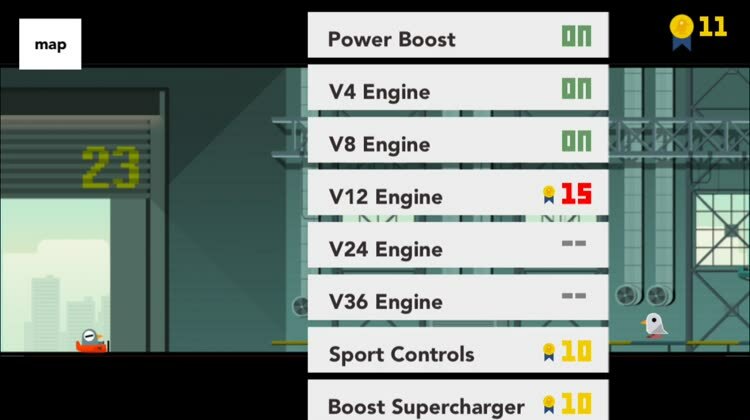 You can spend these in the hangar to get various upgrades for your plane, such as more powerful engines, better handling controls, and boosts. There are no in-app purchases, so the only way to get more medals is to perform better in races. An adrenaline packed challenge with tons of speed as you guide the pilot pigeon. Pigeon Wings is a fast paced arcade shooter that is downright delightful. It's definitely a challenging game, as you'll die plenty of times, but it is funny and eccentric enough to keep you coming back for more. The graphics are adorable and stylish, and the music is fun to listen to. There's a ton of levels so you do get your money's worth, and the replay value is high because you'll want to try again and get a better rank. The upgrade system is also a great motivator. While I think Pigeon Wings is a fantastic mobile game, it definitely isn't for everyone. If you get easily frustrated or don't like dying over and over, then this may not be the game for you. It's also impossible to change the controls, so if you despise using the gyroscope for games, then you're out of luck. Personally, though, I find the controls to work incredibly well for what it's worth. It does take a bit of getting used to, but after that it's golden. Even though I’ve only spent a short time with Pigeon Wings so far, I am in love. The graphics look fantastic on Retina screens, and the music is a delight to hear. Usually I’m not a fan of gyroscope controls, but the way they’re implemented in Pigeon Wings is flawless, and it didn’t take that long for me to get used to them. They feel natural and intuitive, along with the button positioning. The gameplay itself is fast but doable, and while you die a lot, there’s plenty of reason to keep coming back. Plus, how can anyone resist a game where a pigeon is all that stands between a city and total annihilation? I highly recommend grabbing Pigeon Wings if you’re in the mood for some humorous arcade shooting action. You can find Pigeon Wings on the App Store as a universal download for your iPhone, iPad, and Apple TV for just $1.99. There are no in-app purchases.